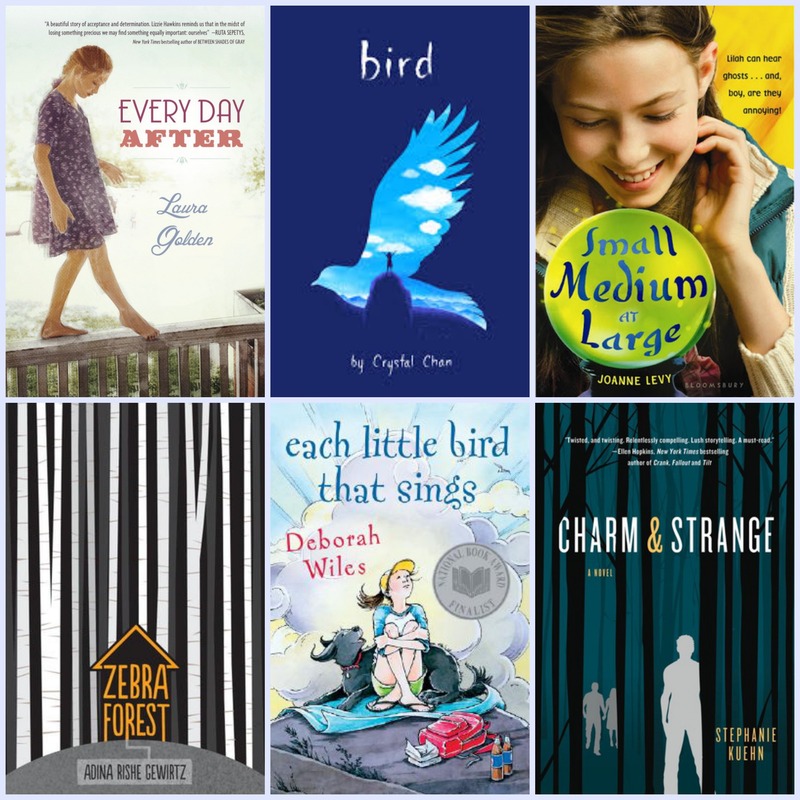 This week I am celebrating bookish things. Unfortunately, my family and I have been ill for much of the week – so my week started with a bang and ended much quieter. Book lovers know though that illness creates opportunity for much reading! 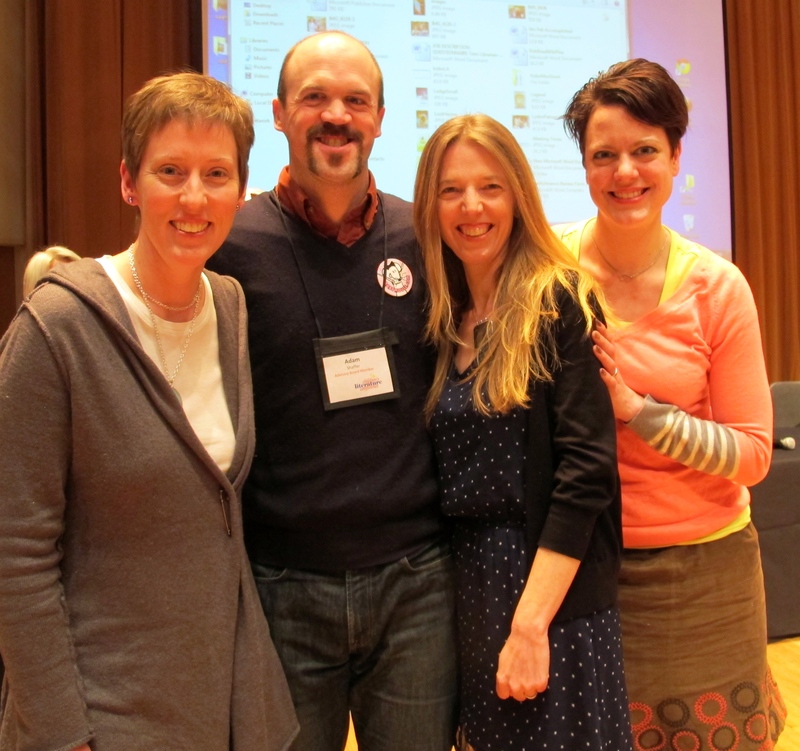 #1 Last Saturday I had the opportunity to attend Western Washington’s Children Literature Conference (#wwuclc). What an absolutely fantastic and enlightening day! I also did some book shopping. Surprise, surprise! But how could I resist? Our hotel was right across from Village Books and the very same Village Books was selling books by all of the author/photographer/illustrators at the conference. I had wanted to share many things about this conference but being ill has sapped much of my energy. I will let these names speak for themselves: Jennifer Holm. Steve Sheinkin. Laura Vaccaro Seeger. Nic Bishop. I will say that I was completely engrossed in each presentation, in awe of the stories and the passion. I haven’t had such an inspiring or entertaining day for some time. What skills (besides photography) would the photographer need? What would be the rewards in this kind of work? What would be the challenges? #2 Kirby Larson If you don’t know that Kirby Larson is pretty amazing, let me just remind you. Yes, because she writes some incredible books. But also because she sends some pretty significant mail. There is a story here that I can’t completely share. 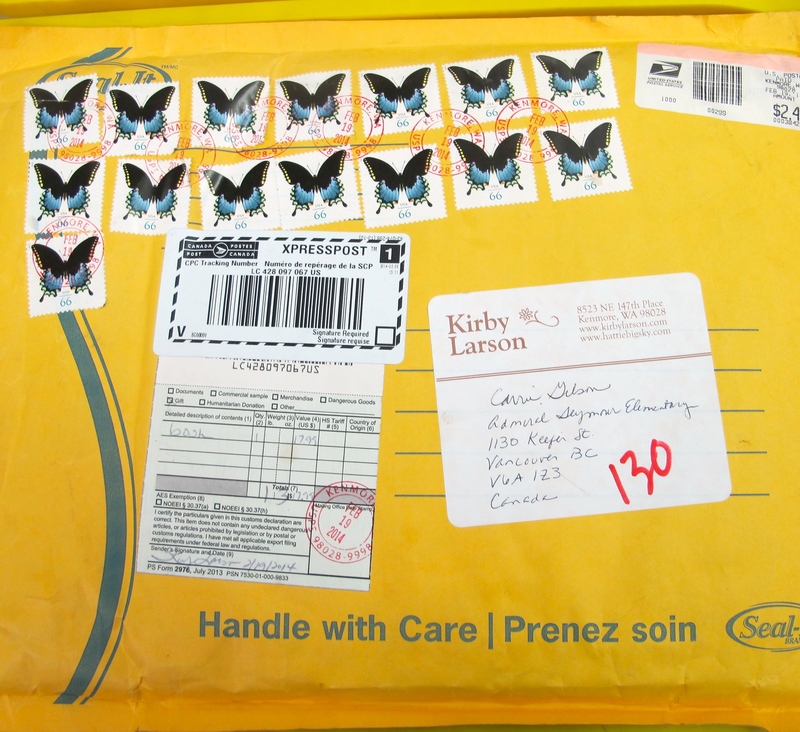 I will just say that this package contained a book that was for a child who needed it for many different reasons. Three adults were able to bear witness to the opening of this package. And . . . wow. Books are gifts. Which makes authors beyond the beyond. Thank you Kirby. #3 Adrienne Gear is my very lovely book loving Vancouver friend who eats books and adores them as voraciously as I do. 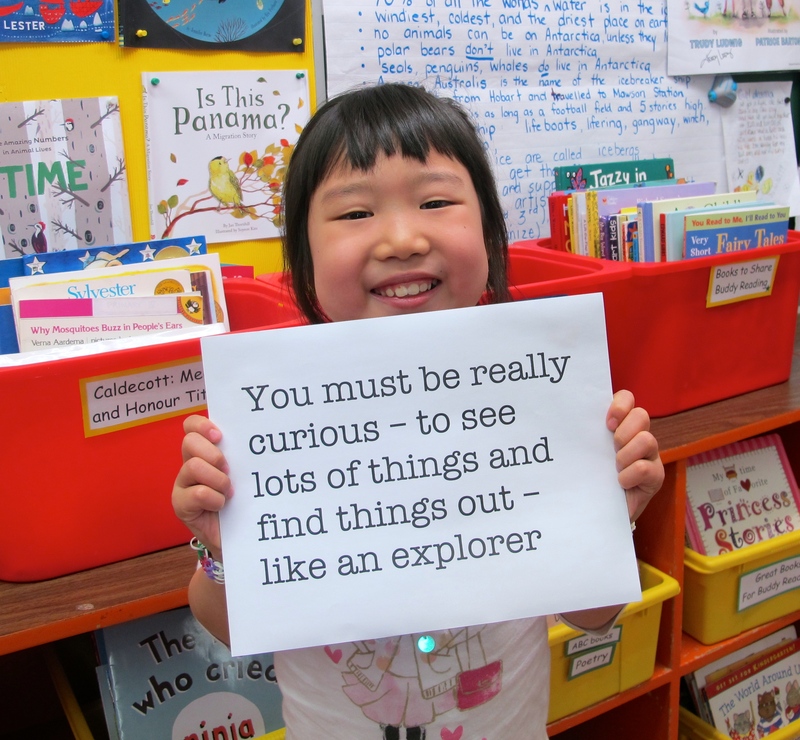 But she also shares her incredible teaching talent with others through her Reading Power books for teachers. Adrienne’s literacy workshops are some of the most inspiring and feel good (because she is so charming) workshops I have ever attended. 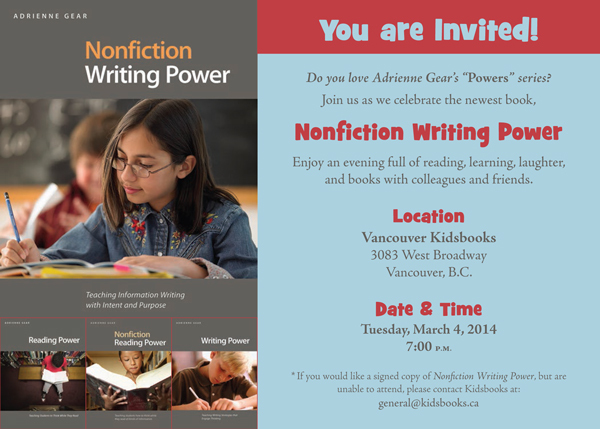 This week, Vancouver Kidsbooks hosted a book launch for Adrienne’s fourth book: Nonfiction Writing Power. Check out Adrienne’s website. Buy her book. I happily have all four in my professional collection. Congratulations Adrienne! Hoping all of you had much to celebrate this week! 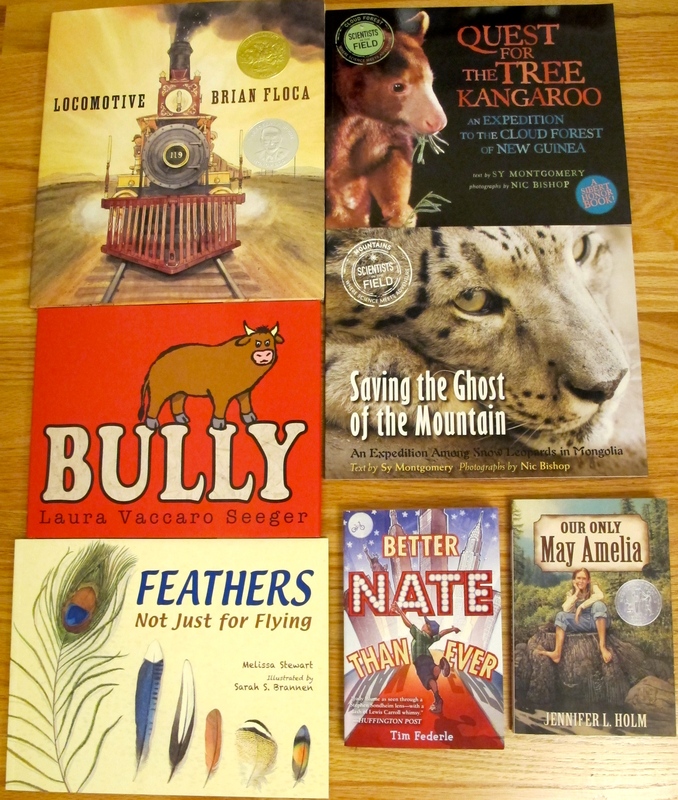 This entry was posted in Celebrate this Week, Community and tagged Adrienne Gear, Celebration, Jennifer L. Holm, Kidsbooks, Kirby Larson, Laura Vaccaro Seeger, Nic Bishop, Steve Sheinkin, Village Books by carriegelson. Bookmark the permalink. Wishing health to you and your family. I am glad that you were able to still find so many bookish things to celebrate. Bookish is always good. 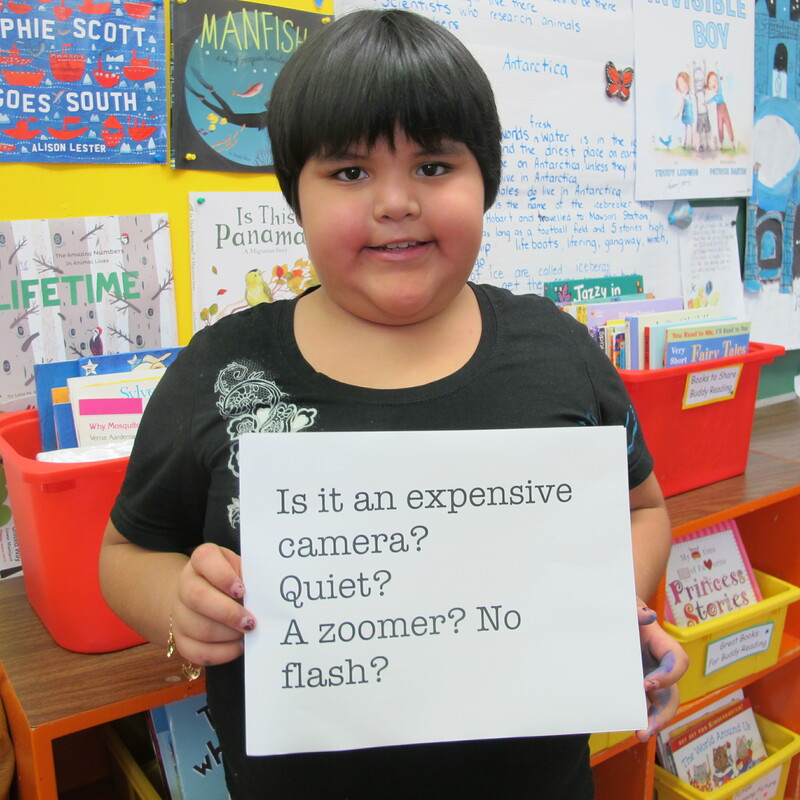 I especially enjoyed looking at the pics of your students’ comments and questions. Bookish IS always good! My students questions/comments were very cute. They were just so intrigued by Nic Bishop’s work. 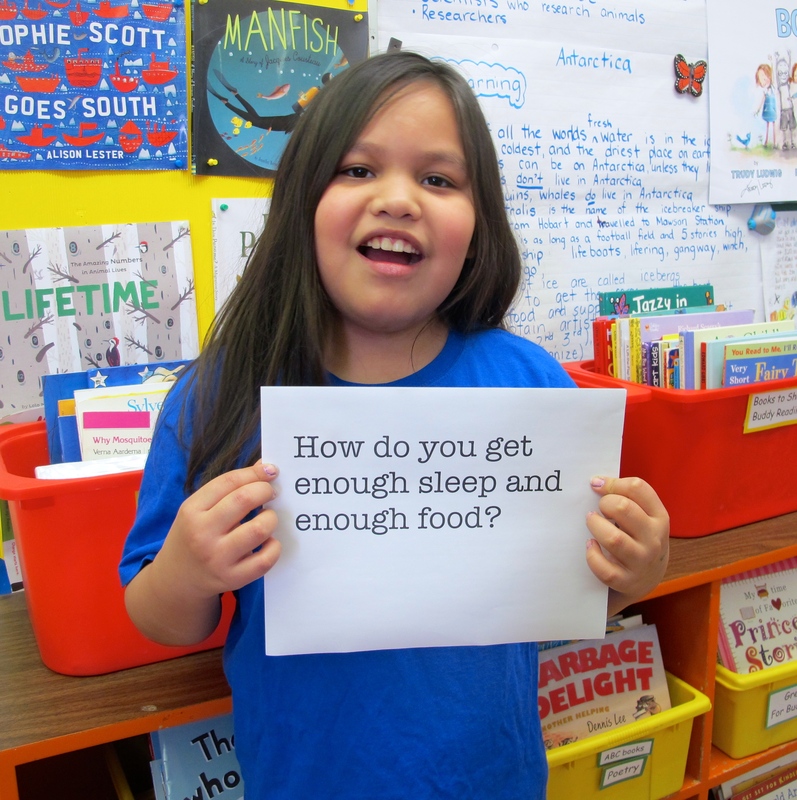 I love the pictures of your students with their questions. And the conference sounded wonderful. Thank you for sharing and glad that you are feeling well. It really was a fantastic conference. I am almost back on my feet healthwise – not quite but hopeful. So fun that you had the students’ pics with questions, Carrie! Sorry for your illness. I wondered why you hadn’t been around much. Love hearing more about the conference, and of course about your books. Looking forward to the reviews-I have all but the two on the right. I bought Bird but still haven’t read it-hear many good words about it! Take care! Thanks Linda. This illness has really put me under. Trying to resurface. Dearest friend – how lovely of you to include my launch on your list of weekly celebrations! I’m honored! So wonderful to have you there on Tuesday – a small but intimate crowd of my nearest and dearest. Your conference experience looks AMAZING! We should plan to go together next year! 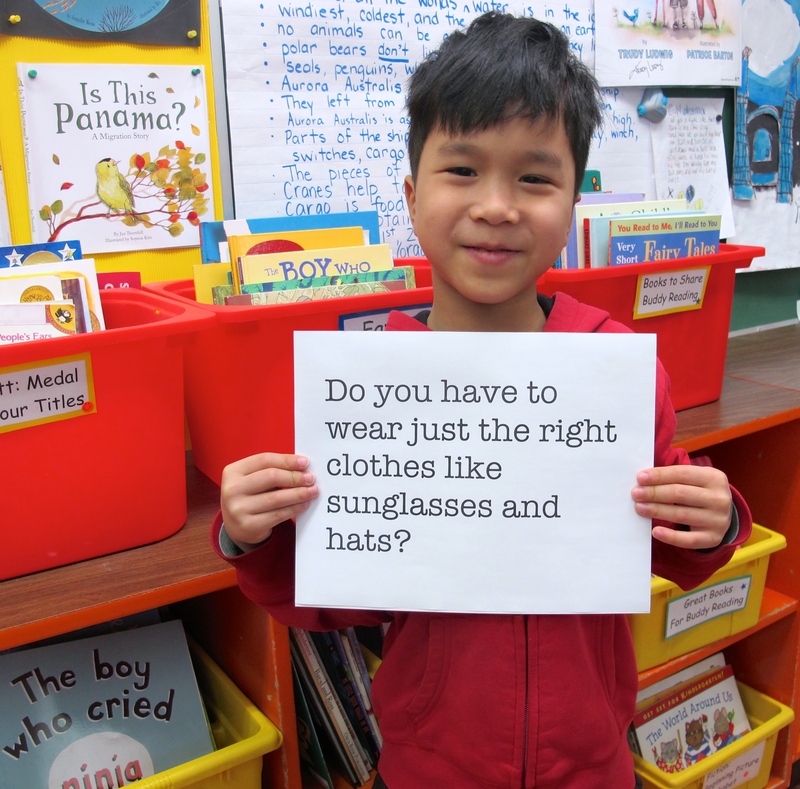 Your student’s observations are adorable! Love the Kirby Larson story. Hope you and your family are feeling better. It was an event I didn’t want to miss. So proud of you! I am so sorry to have missed the WWU conference; it sounds amazing. As always. Hugs to you and Harry. We accept those hugs with much gratitude. Many thanks. So sorry you and your family have been ill. It’s great that you have been able to find a silver lining in the books you got to read. Your students are absolutely adorable! The conference sounds amazing! Kirby Larson is just a wonderful person and author. How sweet of her to reach out to your student. Kirby Larson is pretty darn amazing! I think my students are pretty adorable as well. And always highly entertaining!